Undocumented Students Take Education Underground Georgia bans undocumented students from attending some of the most prestigious colleges in the state, and the students have to pay out-of-state tuition at other public colleges. Freedom University is a temporary alternative. Students don't get any official credit, but they do get to learn. 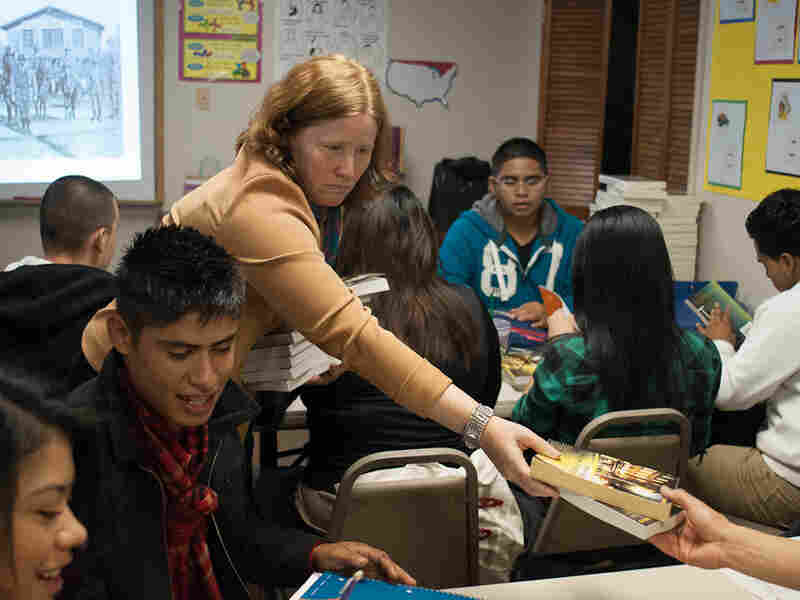 Pam Voekel is a volunteer teacher at Freedom University in Georgia, an informal school for undocumented youth who are banned from some state schools. "They really do see this as a civil rights struggle," she says. "They are being excluded from higher education, and so we went with that as part of that kind of tribute to that prior struggle." The school came about after Georgia legislators passed a bill to ban undocumented students from attending the top five universities in the state. The law also requires these students to pay out-of-state tuition at other public colleges. Students began protesting on campuses and at the state capitol. "What the undocumented students were saying is, 'We want to be in a classroom. How you could really help us, professors, is to offer courses,'" she says. On a recent weekend, Voekel engages the class by staging a debate about Porfirio Diaz, a Mexican dictator who ruled for 35 years. The students are gathered in a tiny basement classroom in Athens, Ga. But the kids don't mind. 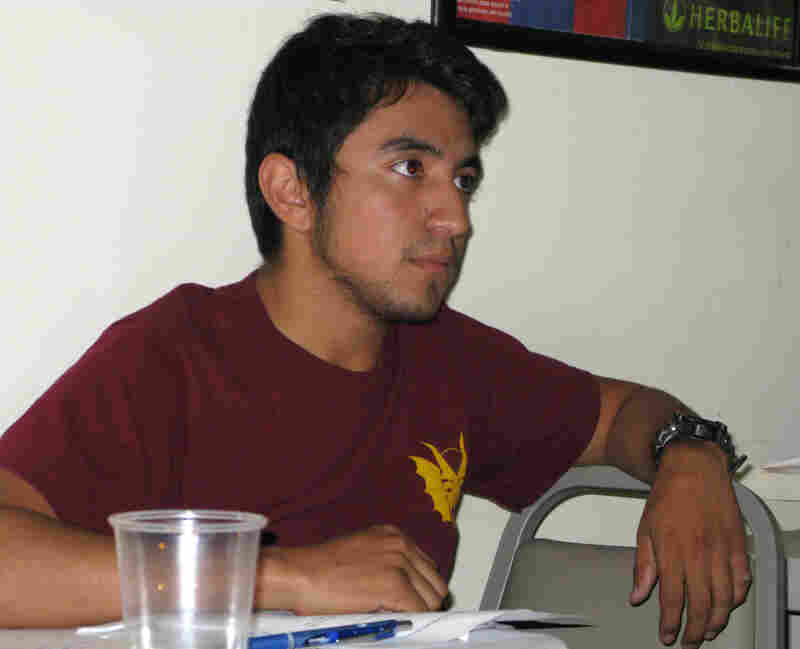 Many want to be part of the discussion, like Martin Lopez Galicia. Martin, 21, has lived in the U.S. since he was 4 years old. "I don't really have a good memory of that time in my life. They're almost like figments of dreams where you can kind of pick up on your history," he says. 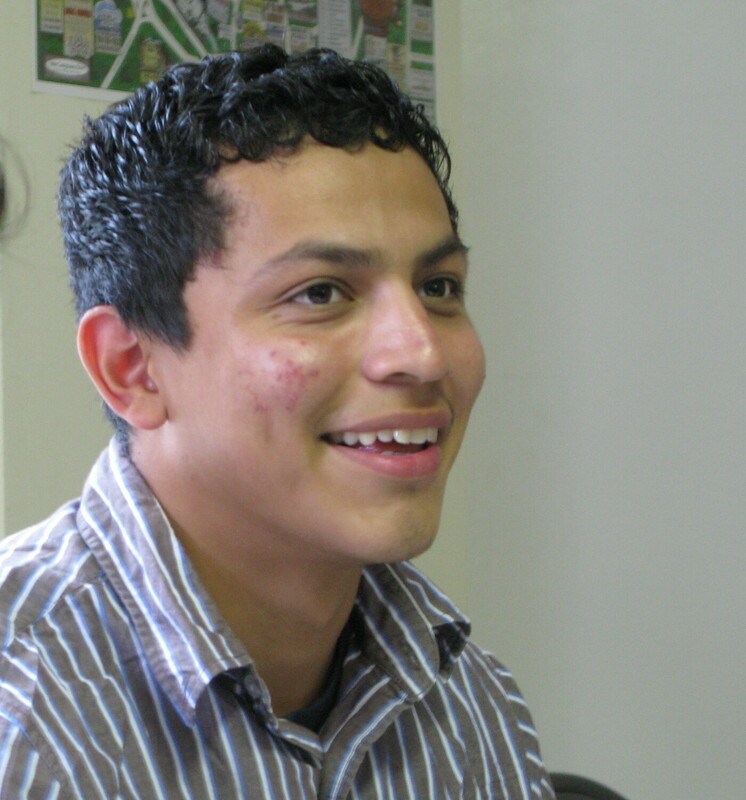 Martin knew as a teen that he was undocumented. He graduated from high school and took a few classes at a junior college. But after enrolling, he was asked to pay an additional $2,000 in out-of-state tuition. So he had to drop out. "I said, 'Holy smokes, that's a lot of money.' It becomes a very demoralizing sense when you look at the institutions and how they're treating people," he says. Martin wants a college degree and, in the meantime, is applying for deferred status under the Obama administration's recent executive action. Last June, the president announced the new process to give a two-year work visa to some undocumented young people. Latino groups have been holding information sessions across the community. Another Freedom U student, Yovany Diaz, gets help filling out his application. Yovany says he hopes he'll be among those who get the new visa, but he's skeptical of the policy. "It could be political. Obama could be trying to reel in the Latino vote, receive the Latino vote, say, 'Hey, I'm doing this. Vote for me,'" he says. Yovany has taken his activism on the road. He was on the so-called Undocu-Bus that drove across the country and ended up at the Democratic National Convention in Charlotte, N.C., on Sept. 3. Some undocumented activists in that group were arrested at the convention. Yovany was among them. Yovany Diaz, a student at Freedom U, is applying for deferred status, though that won't afford him in-state tuition at Georgia universities. "It allows people to apply to not be deported right now. It does not solve the problem for our undocumented dreamers," she says. "We have to be responsible with taxpayer dollars," he says. "We also have to ensure that these seats that are available in our colleges and universities are there for our citizens, students and legal foreign students that have come into this nation looking for a better education. They've done so legally, and they want to get a seat at the table." The Georgia Board of Regents says it will follow the law. A spokesman says the government's deferred action program does not mean that undocumented students will now be considered U.S. residents. In Atlanta, Martin returns to his parents' home after class and after working with his father as a day laborer. Posters of Led Zeppelin hang on the wall. So do the honor medals Martin earned in high school. "Because of the ban and because of all these negative things, something was able to spawn from this, and that was Freedom University," he says. "It should be a given right to be educated, you know?" Martin and others here know they're not getting credit for classes, but they hope their time at Freedom University will prepare them for courses at a real college. Since last year, six students have received private scholarships at out-of-state schools.